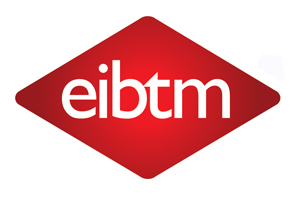 Event planners are increasingly focused on incorporating social and community initiatives into their event programmes, according to the EIBTM 2009 Industry Trends and Market Share Report, published at EIBTM in Barcelona this week. "Social legacy is the hot story this year," said EIBTM industry analyst Rob Davidson, who compiled the report. "It was briefly mentioned last year, but for many attendees, social legacy has now become an essential part of the experiential dimension of a meeting or event. Leaving a social legacy can also help improve the general image or our industry. It makes us look better and I believe we are going to see a lot more of this in future." According to the report, there was no clear evidence that CSR and sustainability was less of a concern for buyers this year, despite the recession. Key trends for the UK and Europe markets is towards shorter and smaller corporate events, however despite the economic downturn, the report found that UK companies are taking as many events overseas as they have in previous years. Reduction in the number of suppliers they use, to increase the potential for economies of scale. Fewer meetings being held in resorts, and more in hotels and in dedicated conference centres.